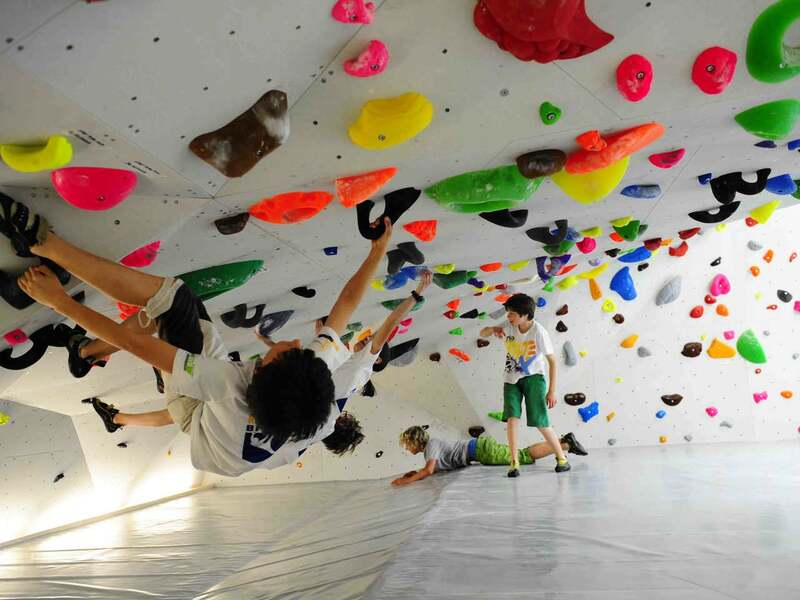 Vertikale – that is the name of the modern indoor climbing center in Brixen, which opened on 5th May 2012. 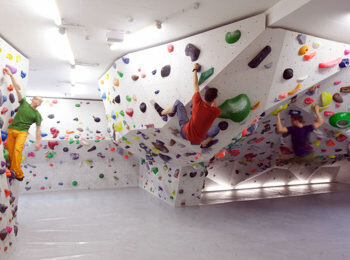 With about 20 m height, 1,600 sq. 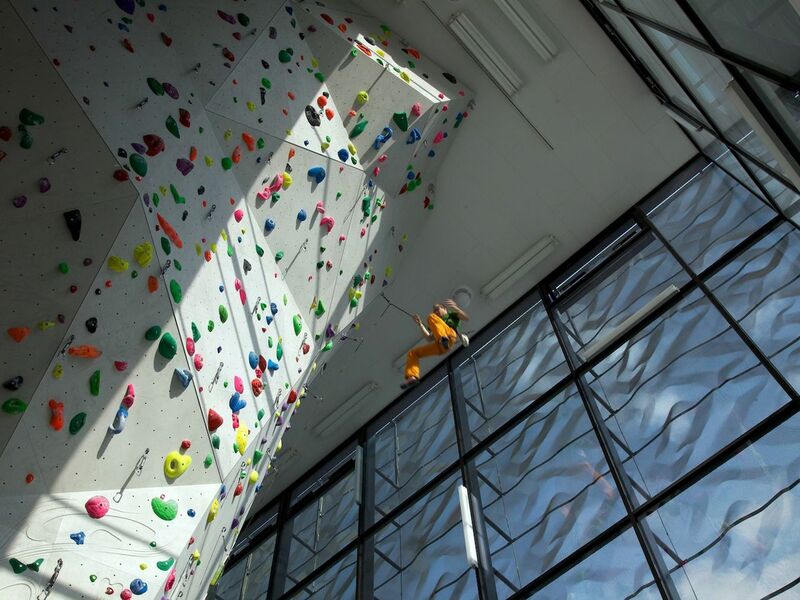 m of climbing surface and nearly 200 different routes this hall perfectly meets the needs of beginners, just as those of advanced climbers. 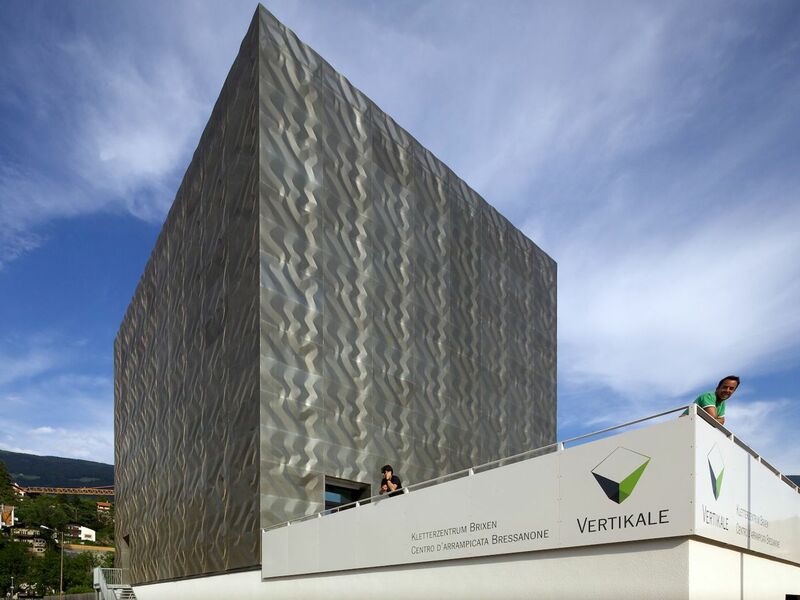 The Vertikale next to the swimming baths Acquarena in Brixen, disposes of all training features such as a breadboard, a system board, a speed route and much more. Any climber’s desire will definitely be fulfilled: In addition to a huge boulder area for unsecured low-altitude climbing, there are even 200 sq. m of climbing area on the facade of the building. If you need a short break, you can relax in the small alpine library and get some climbing hints. 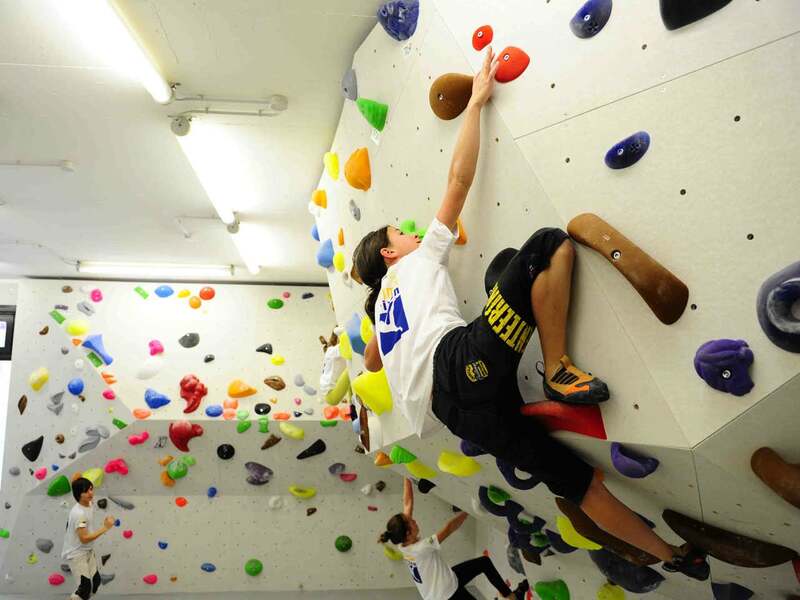 For everyone who wants to try climbing, the local alpine association AVS organizes several courses. Don’t worry if you don’t own the expensive equipment – you can borrow everything for a fair price. The Vertikale in Brixen in Eisacktal was the venue for the ClimBo 2012, the South Tyrolean Championship in bouldering. Children and adults, beginners and veterans, bouldering and outdoor climbers - everyone should take a look at this great climbing center. There are different types of tickets you can buy. 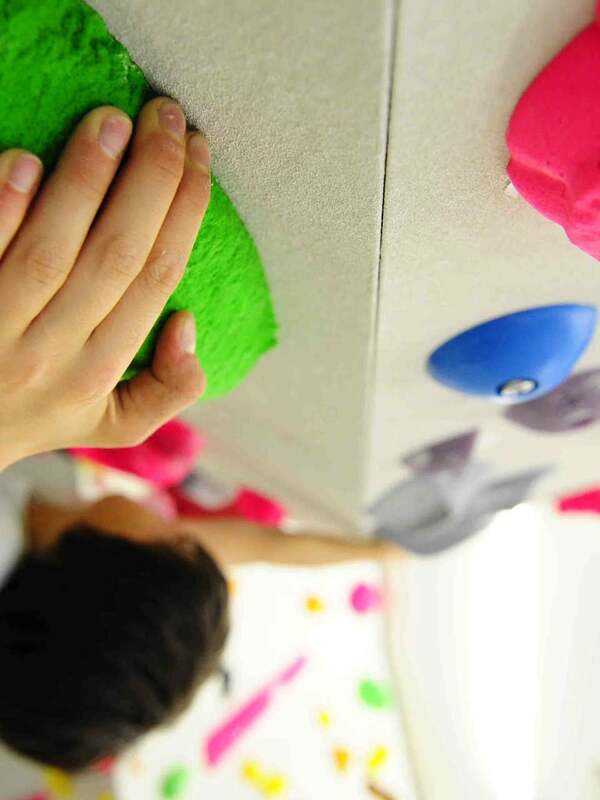 Day passes for adults cost € 11.20 and € 6.20 for children under 13 years of age. Moreover there are available annual, semiannual and group tickets as well as reduced prices for AVS members, students and seniors.